Limited Time Membership Deal! 75% Off! Review By You: Time Travel! Welcome To Club Penguin Land 2.0! New Changes? I need your help! Free Hat For Saint Patricks Day! Field Op #68 Is Out! 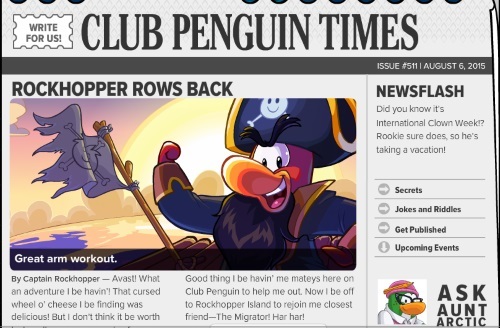 Club Penguin Times Issue #326! The Twelfth Fish Play Returns To The Stage! Field op #63 and A Message From Rookie! Buddy List, And Chat Bar Updates! Liam Talks About Puffles and the Puffle Handler! Jessika, Club Penguin Animator, Gives Us Updates! Fence Pin Arrives At The Beach. Gary Sent Us A New Spyphone Message! 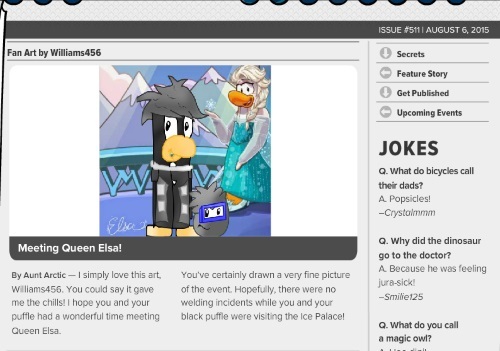 Club Penguin Times Issue #304! Last System Defender Level Coming Soon! 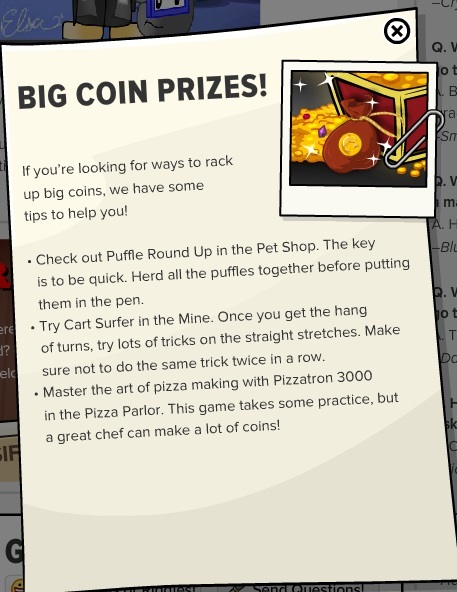 Random of the week: What can puffle beds make? My Stories And Adventures: Super Ninja! Club Penguin Registration Process Updated! Club Penguin Music Jam Extended! New Spyphone Message From Gary! Message from the EPF Director! Club Penguin Times Issue #296! Club Penguin is Updating for the Party! Sneek Peek Of The Music Jam! Club Penguin Times Issue #295! New Spyphone Messages, and Herbert Left! 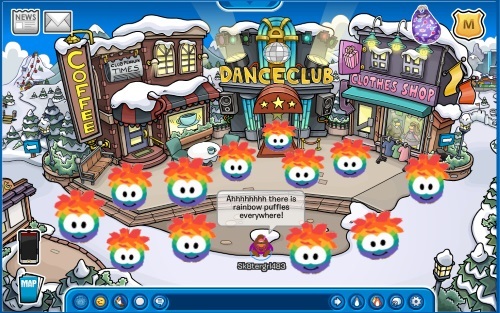 Puffles Running In Tubes!!! SO ADORABLE!! Club Penguin Times Issue #293! My Medieval Adventure Chapter 6! Club Penguin Times Issue #292! Club Penguin Times Issue #291! Herbert Is On Our Side? 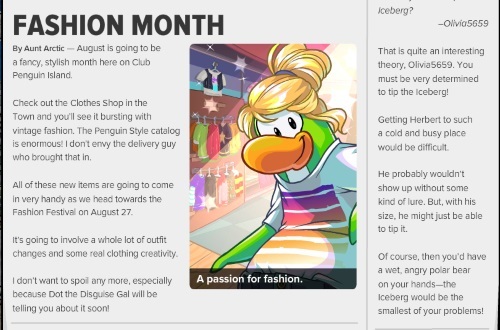 Club Penguin Times Issue #290! My Stories And Adventures: X Marks The Spot! Club Penguin Times Issue #289! My Stories And Adventures: Saving The Earth With SUPER GREEN! Club Penguin Times Issue #288! Review By You: Earth Day!!!!! Norman Swarm Has Been Transformed Is BACK! Club Penguin Times Issue #287! Since Tomorrow is April Fools... How about a PARTY! Helping Your Community Reviewed By You! April Fool's Party 2011 Preparations! Puffle Game Reviewed By You! Squidzois Vs. Shadow Guy and Gamma Gal is Back at the Stage! Puffle Games Reviewed By You! New Pet Shop Reviewed By You! Puffle Food Reviewed By You! 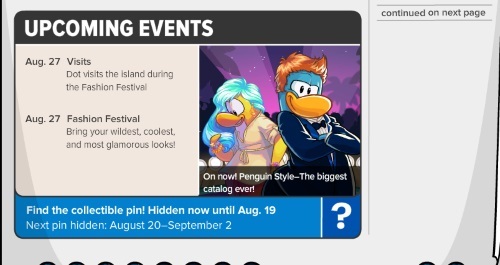 Club Penguin Times Issue: 280! The Haunting Of The Viking Opera Play Cheats! My New Igloo :) My Stories And Adventures! Club Penguin Times Issue: 279! Club Penguin Times Issue: 277! Club Penguin Times Issue: 276! Club Penguin Times Issue: 275! Happy 77 Talks About System Defender! Club Penguin Times Issue: 274! Club Penguin Times Issue: 273! First Paychecks of the year! Happy New Years (almost) 2010 Overview! Merry Christmas From Club Penguin Land! Club Penguin Times Issue: 271! You Can Get A FREE Hat! Coins Coins and MORE COINS!! TONS Of New English Servers! Club Penguin Times Issue: 269! The Holiday Party Is On The Way!!! Holiday Decorating Reviewed By YOu! Rockhopper Is On The Way! Club Penguin Times Issue: 268! Introducing Our Newest CPL Agent Sheesh4! Space Adventures Planet Y is here! Elite Gear Reviewed By You! My Water Dojo Practice Room! Halloween Party Gone, But Storm Still Here? Halloween Costume Reviwed By You! Halloween Party Reviewed By You! First Party Reviwed By You! What's New French and Spanish CP! You Can Now Submit Your Igloo! Secret Of The Bamboo Forest Comes! Scary Costume Reviewed By You! Cart Surfer Stamps Are Here! Submit Art For Club Penguin's 5th B-Day! I FINALLY Get Club Penguin Game Day Wii!!! Club Penguin Fairy Fable Returns To The Stage! Art For Haiti Mural Complete!!! New Member And Non-member Prizes! Happy 77 Answers Wii Questions! 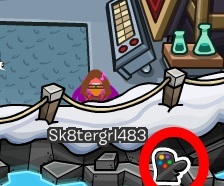 I JUST Met Rockhopper On Server Ice Palace! Fall Fair Reviewed By You! Happy 77 Talks About Wii! Save You Igloos! Now Avalible! 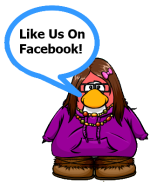 Rockhopper Is On the Way With Fair Booths! Squidzoid and Gamma Gal Back At the stage! Helping Out Reviewed By You! Mountain Expetition Reviewed By You! You Get Can Get Double Coin Bonus! Here's How! ATTENTION!!!!!! This Message Is To Non-members!!! Underwater Adventures Play Hits The Stage! Happy 77 Gives Us More Information On Stamps! What's Coming Up For Members In August! Favorite Dance Move Reviewed By You! I JUST Met Candence on Blizzard, Casa Fiesta! More Information On Club Penguin Game Day Wii! Squid Found At The Iceberg!! Reviwed By You: Who You'd Go On An Adventure With? Herbert's Revenge: Herber's Statue At The Mine!! 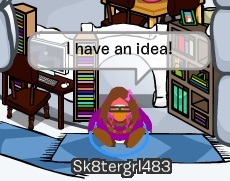 Club Penguin Comes To Wii! Ruby And The Ruby Returns To The Stage With A New Pin!! Yup That's Right... BEACH PARTY!!! 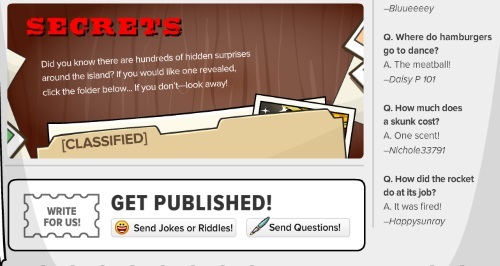 I Enter My EPF Code. Elite Penguin Force Online Sneak Peek! Club Penguin Is "All Buttery Wth Excitement!!" LOL! Club Penguin Garden Reveiwed By You! Medeivel Party Coming On May 7th! You Can Now Recycle Your Postcards! New Room, Path, And Community Garden Coming Soon To CP! Club Penguin 'Go Green" Reviewed By You! Penguin Play Awards Winners Announced! Puffle Baseball Shoes??? EPIC FAIL! Club Penguin's New Game Puffle Rescue Now Out! Screenhog On Night Club Secrets! New Puffle Game Coming This Week! Happy77 Talks About New 9" Plush Toys Coming Soon! Rockhopper Here And Digging Out Mine Again? You Can Now Adopt 18 Puffles! 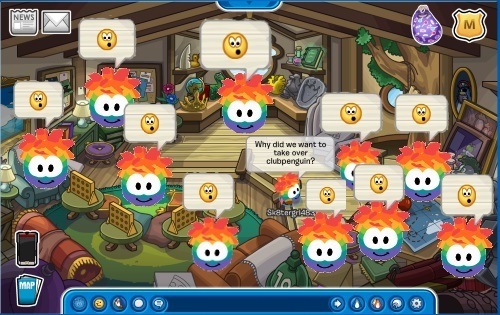 Puffle Party Ending Soon And Special Surprise In The Pet Shop! Club Penguin Limited Edition Penguin - 2010 Easter Bunny! Real Footage Of The ORANGE Puffle! New Postcards, And "New" Sign On The Newspaper! Secret Of The Bamboo Forest Play Here Early! 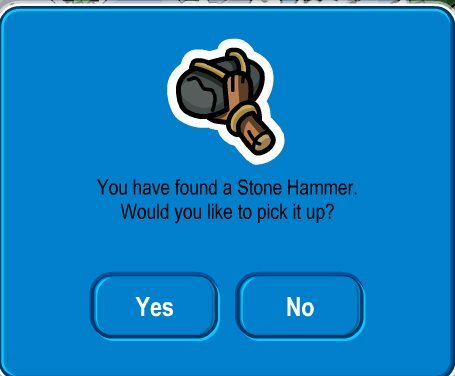 Club Penguin Is Making New Improvements! 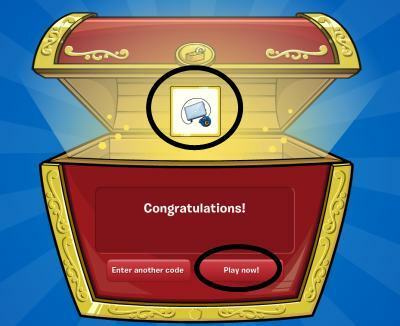 New Club Penguin Falgs Avalible To All Players; Puffle Furniture Sneak Peek? Happy 77 Asks Party Planner! Club Penguiln Mine Cave, Free Items, And Members Only Room! Review By You And Help Haiti! The Cave Expetition Starts Tomorrow! Penguin Play Awards Coming Up! Quest For The Golden Puffle Returns To The Stage Yet Again! Treasure Catalog 6 Released, Along With Series 6 Toys! Card-Jitsu Fire Legend And Instructions Are Out! BREAKING NEWS! Fire Sensei Spotted! Ninja Mystery Almost Solved & Ninja Shadows Back? Club Penguin Times Issue #198, And A New Club Penguin Book! Music Jam Was A Hit!! Vote For A New Color Now!!! Don't Miss Out On This!!! Vote For New Club Penguin Colors Soon!!! Music Jam Set-up Has Started!!! Club Penguin Now In Spanish!!! Club Penguin Music Updates Coming This Friday!! !